It’s not super often that I come across albums I can’t stop listening to, can’t get out of my head, and just can’t stop thinking about. If I’m lucky it happens a few times a year, and it’s what I live for. So, for it to happen with two different albums in the course of one week has kind of blown my mind, and I feel it’s my responsibility to share this joy with the world, or at least the We Love DC readers. The albums are Young People’s Church of the Air by Deleted Scenes, and These United States, self-titled. Coincidentally both bands have DC connections- Deleted Scenes are based in DC, and These United States started here. These albums have totally distinct sounds, they live in different spots on the musical spectrum, but both are beautiful and brilliant in their own way. I’ll start with These United States, self-titled. I first became aquainted with the music of These United States several years back, when they were first starting out, and based in DC. I saw them live at Iota, probably around 2007, and their enthusiasm and energy, combined with the charisma of frontman Jesse Elliott was exhilarating. Fast forward five years and just as many albums…the group no longer calls DC home, they are based partly in New York, and spend lots of time on the road. 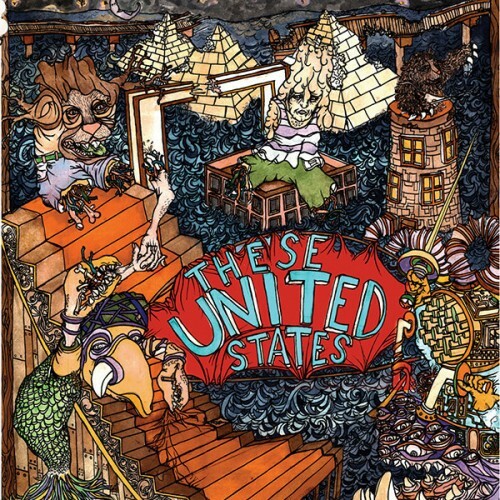 Their fifth studio album, These United States came out in June on Colorado-based United Interests records. I feel like I’m late to the party on discovering Deleted Scenes, but better late than never! I had the random luck of meeting singer Dan Scheuerman after seeing his brother Vince play a show recently at The Hamilton. Last week I got to chat with Dan about the band and the new album, and that interview will be up on WLDC next week. Young People’s Church of the Air is the DC band’s second full-length album, out this week on Park The Van records. 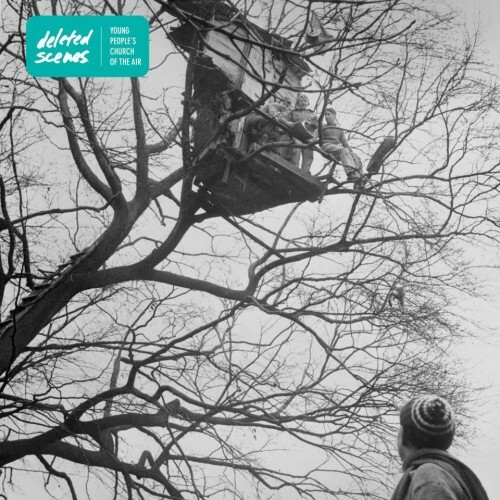 Young People’s Church of the Air does this delicate dance- sounding at once light and joyful, dancey and inspiring, yet also tinged with a darkness and melancholy. It feeds my soul. The album opens with “The Litany of Mrs. T,” fading in with airy, distant celestial vocal layers and leading to unexpected rhythms and bouncing bass, building to a jubilant chorus of “Hallelujah.” This record is surprising and satisfying- the chord progressions, key changes and beats are unusual and unexpected, so it’s all the more delightful when you arrive where the band is taking you on the sonic adventure of each song. Again, it’s hard to pick favorites on an album so good, but here goes. The weird, surfy dance party that is “Baltika 9″ makes me want to get on my feet and move, as does “English as a Second Language.” “Ordination Day” is soulful and lovely, while still managing to be unpredictable and original. The touching, but never sappy love song “Bedbedbedbedbed” is another highlight, with hypnotic drums and soft, dreamy harmonic layers. “The Demon & The Hurricane” is dark, beautiful, moody, yet forward- moving, and kind of feels like it could be at home on Radiohead’s In Rainbows. You can see Deleted Scenes live at Red Palace on Saturday, July 21st, and check back next Wednesday for my interview with front-man Dan Scheuerman!